President Donald Trump’s trashing of New Hampshire as a "drug-infested den" in a telephone conversation with the president of Mexico did not go over well in the Granite State. 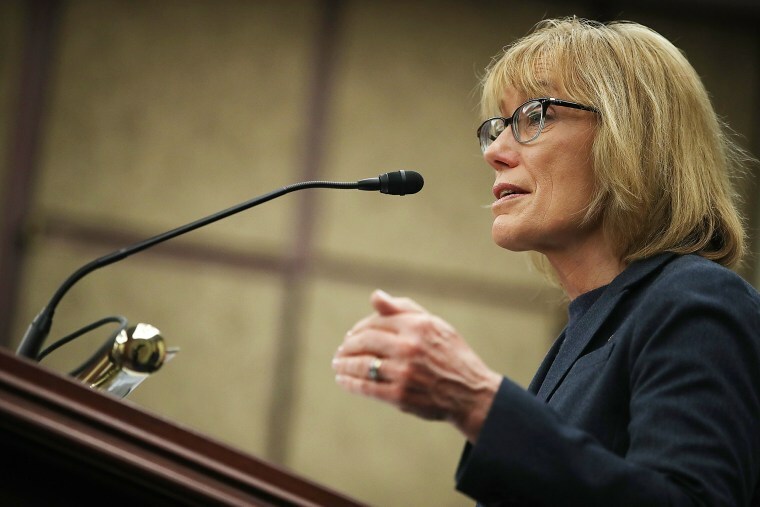 "Instead of insulting people in the throes of addiction, @POTUS needs to work across party lines to actually stem the tide of this crisis," Hassan tweeted. New Hampshire's other Democratic senator, Jeanne Shaheen, called Trump's reported remarks "absolutely unacceptable" and said he owes her state "an apology." The state's Republican governor, Chris Sununu, slammed Trump as well. "The President is wrong," the governor said in a statement. "It's disappointing his mischaracterization of this epidemic ignores the great things this state has to offer." "Campaigning in New Hampshire's First in the Nation primary, Donald Trump was impressed by the severity of the festering drug crisis, and he shared the frustration of New Hampshire voters. Trump being Trump, he's using exaggerated and crude language, which is hardly useful. He should also know that New Hampshire is at the forefront of dealing with this crisis, which has hit us as hard as anywhere." On his Twitter page, Bosse also took aim at Trump's Democratic critics. So New Hampshire Democrats are now going to spend the day acting as if New Hampshire doesn't have a massive problem with drugs. The president made the disparaging remark about New Hampshire in a Jan. 27 conversation with Mexican President Enrique Peña Nieto, the transcript of which was obtained by The Washington Post and published Thursday. As seen in the transcript, Trump raised the issue of New Hampshire as he pressed a reluctant Peña Nieto to pay for his border wall. "We have a massive drug problem where kids are becoming addicted to drugs because the drugs are being sold for less money than candy," he said. "I won New Hampshire because New Hampshire is a drug-infested den." In reality, Hillary Clinton won New Hampshire by about 3,000 votes in the presidential election. But Trump handily won the Republican primary. So far the White House has declined to comment on the leaked transcripts of Trump’s calls with Peña Nieto or his Jan. 28 telephone conversation with Australian Prime Minister Malcolm Turnbull. But New Hampshire does have a serious drug problem and has been hit hard by the deadly opioid epidemic. In 2015, it was the state with the second-highest rate of drug overdose deaths (after West Virginia) with 34.3 per 100,000 people, according to the federal Centers for Disease Control and Prevention. Both Hassan and Shaheen have been pressing the Trump administration to make good on its promises to "combat the opioid epidemic." So far, Hassan tweeted, Trump has not made good on his promises.